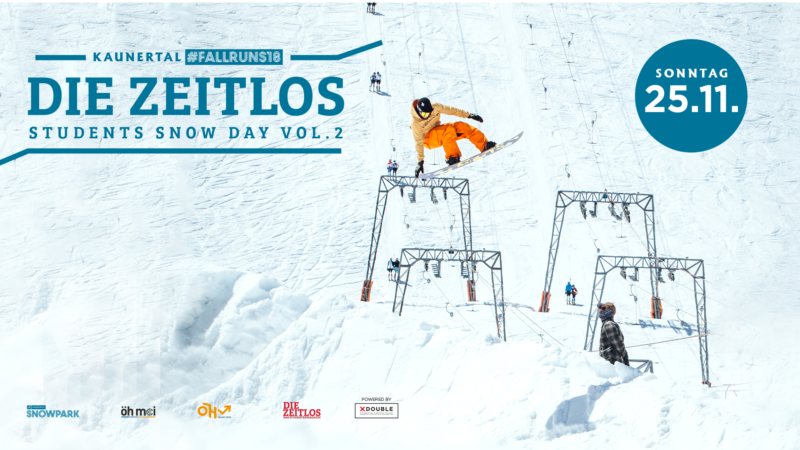 The Students Snow Day by Die Zeitlos – Das Studentenmagazin powered by X-Double is starting into round 2! Straight from Innsbruck city to the slopes of Kaunertaler Gletscher for a perfect and chilled early winter day in the snow. Besides the mandatory skiing/snowboarding during the Snowpark Kaunertal #FALLRUNS period we want to bring Innsbrucks students from different subjects and universities all together! ATTENTION: limited amount of tickets available – first come, first serve! MEETING POINT is at 07.50 AM at the Bus-Terminal “Heiliggeiststraße” (Where the “Mein Fernbus” used to stop)! At 5PM we start our way back to Innsburck!